At their final concert of their LY2D tour on Thursday night, Tegan and Sara addressed all that is “weird in the world” and told everyone to be kind and take care of each other. 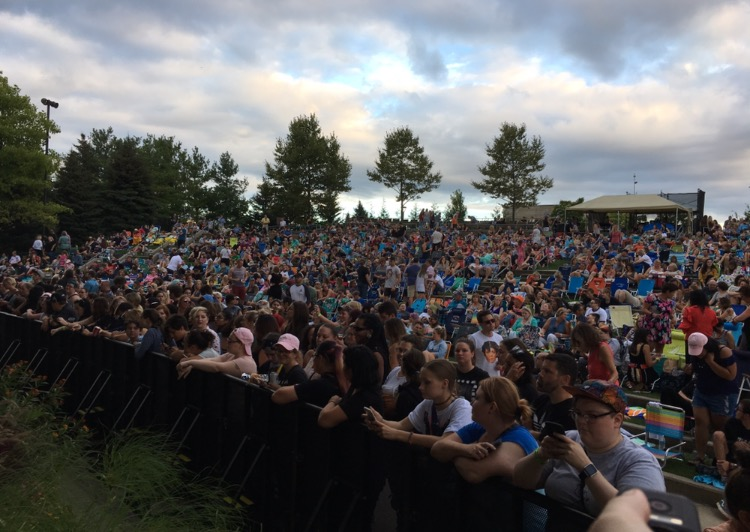 On August 17, 2017, the amphitheater at Frederik Meijer Gardens filled up with fans of all ages. Everyone came together to sing along to the well known lyrics of Tegan and Sara. 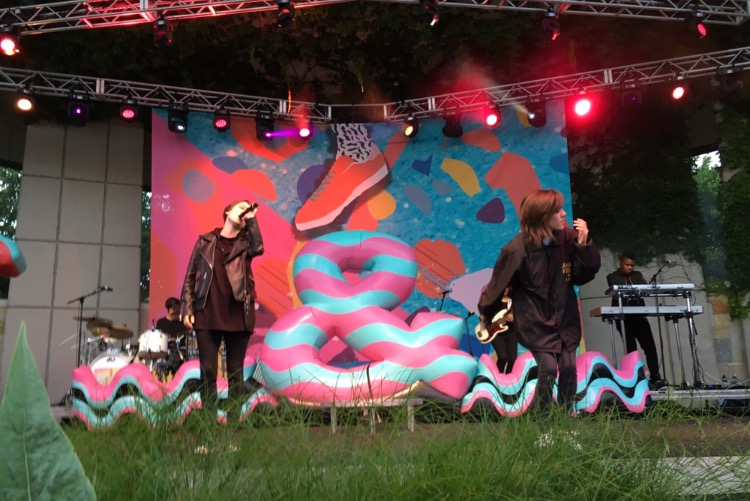 The show was opened by AOK, a Grand Rapids duo that features pop electronic music. AOK did a great job of warming up the crowd. They quickly talked about the election, other happenings around the world, and said they find it important to use their voice for more than just singing. They did a beautiful job of acknowledging everything without speaking of anything specifically. Sara made it clear that “everyone is safe here” and to all be kind to one another. This addressed the wide variety of people and ages that came out on Thursday night. Their mission of equality made the crowd only more pumped up. Their message was welcome. The concert ranged songs from over all of their albums. Everyone in the crowd felt the empowerment these women shared. Transitioning from their pop to indie songs and back with ease, paired with witty sisterly banter in between, the crowd was roaring. The amphitheater fled out fast due to the hard rainfall, all with whispers of how everyone felt this was the first time they truly felt safe and could let go all year. 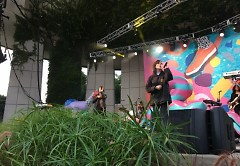 Inspiring many for the second time this year, Tegan and Sara brought their “Love You to Death” tour to Grand Rapids for the first time at Calvin College in October 2016.